For listeners of a certain age, a song about King Tutankhamen immediately brings Steve Martin to the mind’s theater. His “King Tut” mock-reprimanded the commercialization of the Treasures of Tutankhamen exhibit that toured from 1976 to ’79. But this one, “Old King Tut”, was recorded in 1923, the year AFTER the ancient Pharaoh’s tomb was found. 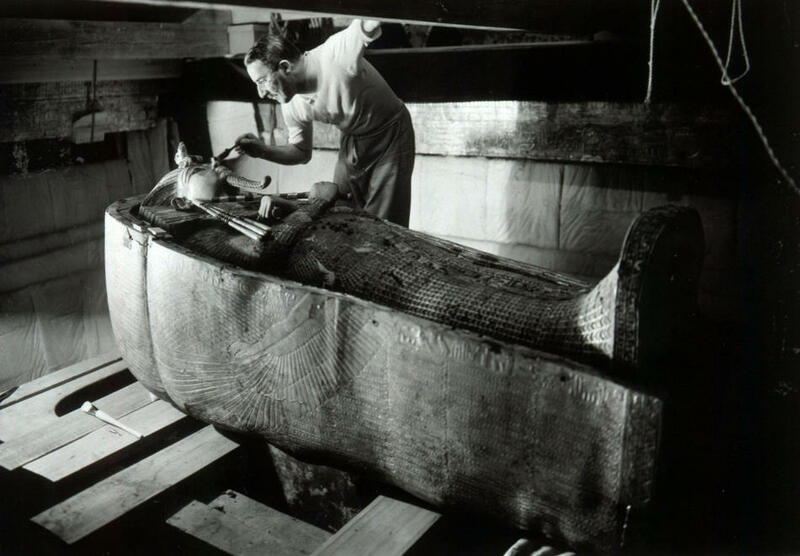 Image: Howard Carter in Tutankhamen’s tomb, photographed by Harry Burton, created in 1922. The image is in the public domain.